 “Factfile: Underground Nuclear Testing,” BBC World News, 26 May 2009, www.bbc.co.uk; David E. Sanger and Choe Sang-hun, "North Korea Confirms It Conducted 3rd Nuclear Test," New York Times, 12 February 2013, www.nytimes.com. “North Korea Uncovered- (Google Earth),” North Korea Economy Watch, Version 18, Released 25 June 2009, www.nkeconwatch.com. Paul Brannan, “Satellite Imagery of North Korean Nuclear Test Site Shows Growth in Pile of Material Near Test Shaft: Unclear If Nuclear Test Will Follow,” ISIS Reports, 10 April 2012, http://isis-online.org; “FAQ: North Korea's Possible Nuclear Test,” James Martin Center for Nonproliferation Studies, 27 April 2012, www.nonproliferation.org; “North Korean Nuclear Test Preparations: An Update,” 38 North, 27 April 2012, http://38north.org; David Albright and Robert Avagyan, "Monitoring Activity at Punggye-ri Nuclear Test Site," ISIS Reports, 3 February 2013, http://isis-online.org; Jack Liu and Nick Hansen, “North Korea’s Punggye-ri Nuclear Test Site: No Sign of Test Preparations,” 38 North, 16 January 2015, http://38north.org. “DPRK Successfully Conducts Underground Nuclear Test,” Korean Central News Agency (KCNA), 9 October 2006, www.kcna.co.jp. “Magnitude 4.3- North Korea,” U.S. Geological Survey, 9 October 2006, www.earthquake. usgs.gov. "Statement by the Office of the Director of National Intelligence on the North Korea Nuclear Test," Office of the Director of National Intelligence, 11 October 2009, www.dni.gov. Frank V. Pabian and Siegfried S. Hecker, "Contemplating a Third Nuclear Test in North Korea," The Bulletin of the Atomic Scientists, 6 August 2012, www.thebulletin.org. “KCNA Report on One More Successful Underground Nuclear Test,” Korean Central News Agency (KCNA), 25 May 2009, www.kcna.co.jp. 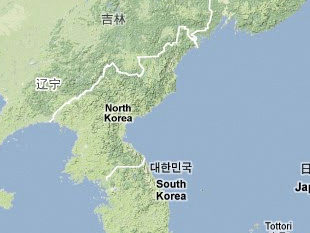 "Magnitude 4.7 - North Korea," U.S. Geological Survey, 25 May 2009, www.earthquake. usgs.gov. "Experts Sure about the Nature of the DPRK Event," Preparatory Commission for the Comprehensive Nuclear-Test-Ban Treaty Organization, 12 June 2015, www.ctbto.org. "KCNA Report on Successful 3rd Underground Nuclear Test," Korean Central News Agency (KCNA), 12 February 2013, www.kcna.co.jp. "M5.1 - 23km ENE of Sungjibaegam, North Korea," U.S. Geological Survey, 12 February 2013, http://earthquake.usgs.gov. “Detection of Radioactive Gases Consistent with North Korean Test Underlines Strength of CTBTO Monitoring System,” Preparatory Commission for the Comprehensive Nuclear-Test-Ban Treaty Organization, 20 July 2013, www.ctbto.org. "North Korea nuclear: State claims first hydrogen bomb test,” BBC World News, 6 January 2016, www.bbc.com. Justin McCurry and Michael Safi, “North Korea claims successful hydrogen bomb test in 'self-defence against US,'” The Guardian, 6 January 2016, www.theguardian.com. “North Korea claims success in fifth nuclear test,” BBC World News, 9 September 2016, www.bbc.com. Michael Forsythe, “North Korea’s Nuclear Blasts Keep Getting Stronger,” The New York Times, 9 September 2016, www.nytimes.com. Jack Kim, “South Korea says North's nuclear capability 'speeding up', calls for action,” Reuters, 11 September 2016, http://uk.reuters.com. Ted Kemp, “North Korea hydrogen bomb: Read the full announcement from Pyongyang,” CNBC, 3 September 2017, www.cnbc.com. USGS, “M 6.3 Nuclear Explosion - 21km ENE of Sungjibaegam, North Korea,” 3 September 2017, earthquake.usgs.gov. Jeffrey Lewis, “Welcome to the Thermonuclear Club, North Korea,” Foreign Policy, 4 September 2017, www.foreignpolicy.com. “Aftershocks likely from September test detected from North Korea nuclear site: USGS,” Reuters, 9 December 2017, www.reuters.com.